The problem with most built-in solar gadget chargers is that it just doesn’t make sense to stick your pricey phone in the sun for the whole day while you wait for it to charge. 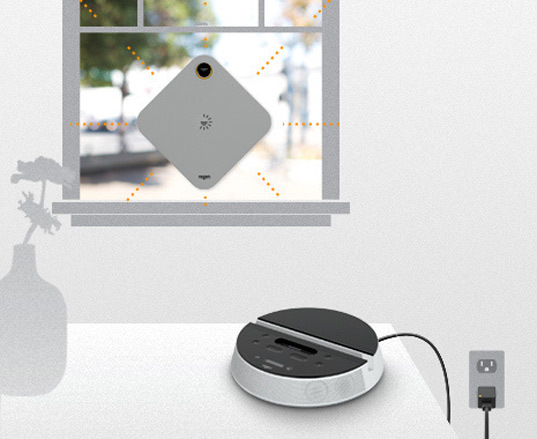 But the Regen ReNu modular solar panel takes care of that issue–the combination solar panel and battery pack attaches to the back of an iPod/iPhone dock or USB device for easy access to solar power. When you want to charge the panel, just remove it and place it near sunlight! The ReNu panel doesn’t work quickly–it takes 9 hours to charge in direct sunlight and 20 hours in indirect sunlight for 7-8 hours of music–but enterprising solar power lovers could easily charge one ReNu panel in the sun while another is in use. Regen’s $200 solar panel won’t be available until next year, but it’s already available for preorder on the company website. The problem with most built-in solar gadget chargers is that it just doesn't make sense to stick your pricey phone in the sun for the whole day while you wait for it to charge. 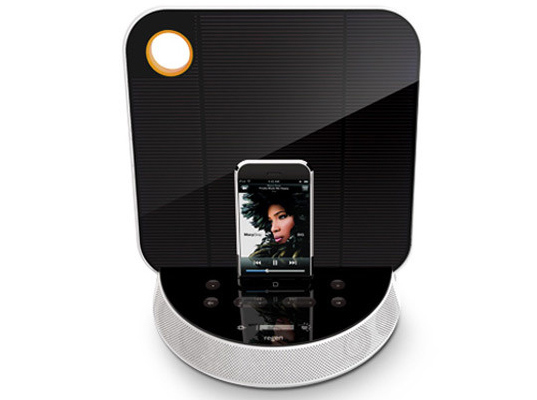 But the Regen ReNu modular solar panel takes care of that issue--the combination solar panel and battery pack attaches to the back of an iPod/iPhone dock or USB device for easy access to solar power. When you want to charge the panel, just remove it and place it near sunlight!